If you’re in the business of reselling print then you need to think carefully about your print partner. It’s vital to be able to trust every element of the print service you use. The quality of both the print and the service are extremely important if you’re to carry on with your business safe in the knowledge that you can stake your own reputation on the print you supply to your clients. Here are seven sure things you should look for when choosing your print partner. 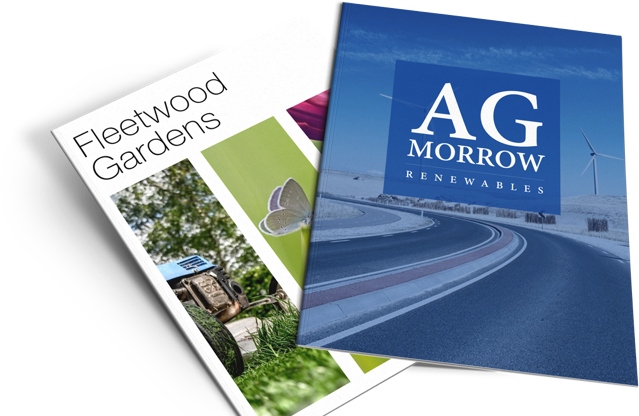 If you’re to provide a good print service to your customer, they’ll expect you to be able to offer more than just leaflets and business cards. Many online printers provide the basics, but you’ll add value to your service if you can supply and offer a full, extensive range of products. When it comes to print, value for money is very different and more important to your business than the initial cost. Some printers might offer very cheap prices. More often than not this means the product looks or feels cheap and their customer service is poor. Your reputation is only as good the last job you delivered. So is ours and that’s why we use market leading HP Indigo presses to produce digital print of truly exceptional quality – guaranteed! When someone gives you responsibility for their print, they need to be able trust you to deliver. When you give us that responsibility, we take it very seriously. We make it our business to manage your job from start to finish so you don’t have to worry. On occasion you might ask your printer to deliver the printed job directly to your client. We will do this in plain, unbranded packaging without any contact details – unless you ask to include yours. And we will never contact your customers directly or discuss print or prices with them. Make sure you know the turnaround and delivery times for your print before you order. A good print partner will allow you to choose from a range of delivery options and turnaround times ranging from standard to next day. Some printers, especially those online will offer what look like great prices but add hidden charges after your order. Our online quote service allows you to know exactly what you’re paying before you order your job. And that means you know exactly what to charge. The problem with many online printers is that they’re hard or even impossible to contact. When our trade customers contact TradeDigitalPrint.co.uk they know they’re talking to a dedicated team based here in the UK. Your job is extremely important to us. We’ll always know exactly where it is and how it’s progressing. And if we see a problem with your artwork we’ll get in touch right away. We’re extremely proud to have built a reputation as print partners who our customers can trust completely. It’s easy to become a trade customer. At TradeDigitalPrint.co.uk we’ll work closely with you to ensure you can supply the very best quality print and service to your clients. Once you’ve registered as a trade customer with TradeDigitalPrint.co you can get instant quotes, upload artwork, order your job and arrange delivery online. New customers get 50% off their first order as well as free delivery and all our trade customers enjoy instant rewards, special offers and exclusive trade prices every day. To become a trade customer and order print at great trade prices, simply visit www.TradeDigitalPrint.co.uk or contact our expert trade print team today!